You’ve heard it before; employees are one of the most valuable assets of a company. When the time comes to grow your company, you may feel overwhelmed and inclined to put it off. Maybe because recruiting is difficult in your industry, or perhaps because it’s too time-consuming. If finding the right talent for your business is challenging, hiring headhunting services might be a good idea. However, not every headhunter is a good one. There are certain qualities and actions that they must comply with in order to be the services you are looking for. If the services you’re considering lack a display of results, this should definitely raise a flag. A good headhunting business has been around a little longer than most. They should have a track record of good results and be confident about them. It’s always a good idea to research the headhunting company you’re considering; particularly if you see a red flag. Ask around for references, to see if their results are as good as they claim. Watch out for exorbitant wages. 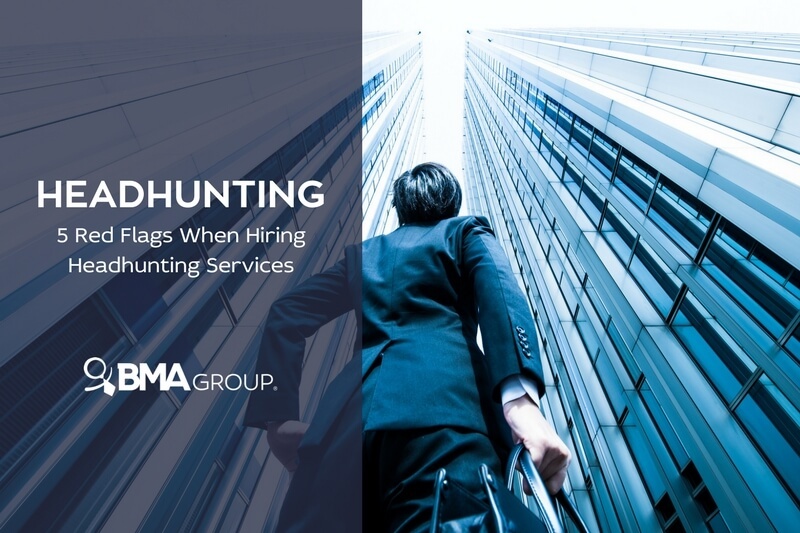 Yes, headhunting services are a big investment, but that doesn’t mean they should burst your pocket. There are fees you’ll need to pay. However, a quality of great recruiting services is, in fact, accessibility. They should be able to adapt to your business’ economic situation and find the best solution for you; not only keep their eyes on their prize. The best recruiting companies understand that quick staffing is crucial for your business. A recruiter who takes too long to provide employees is not the one for you. Remember, these businesses should know your need and should have an optimized process to provide for you. Efficient recruiters will also take the time to learn about your business and show interest for it. With this, they’ll find the culture fit talent your company needs. What good is a recruiting company that doesn’t match employees with your needs? This will only delay your company growth. Watch out for recruiting agencies that don’t pay attention to your needs. Believe it or not, some are out there simply to make their revenue. You’ll quickly spot them when they don’t keep in touch about the employees they have in mind for you. They won’t even follow up on them. Or when they don’t follow the process you both agreed on. Another miscommunication red flag is when they pressure you to make decisions while you still have questions, or when they have not given you the whole picture to consider. Avoid recruiting services that don’t show commitment. Headhunters should want to see you grow, and thus want to become involved with you. They are dedicated to knowing your business, and especially, lead you to become the outstanding company you aspire to be. If you see little interest towards your company, let them go. Recruiting requires time and attention to detail. You cannot stay with a company that promises efficiency and shows poor efforts to achieve it. Keep in mind that recruiting is a necessary investment, so you need to be smart about this investment too. Reliable headhunting services will want to engage with you. They will go beyond your expectations and staffing needs. After the approval of Act 20, many foreign companies have established in Puerto Rico. They have found that, along the many tax benefits provided under this law, Puerto Rico’s labor force is professional, bilingual and well-prepared. If you’re not familiar with this market and need to find top talent quick, consider the services of headhunters in Puerto Rico!